In a world, where everybody is in constant motion, every tick of the clock requires dynamism; every breath is designed to attend to a pressing matter at hand and every action tips the scale between success and failure, is there still a place that caters to the simple joys in life? Down in South Cotabato is the place you have been yearning for. Carefully molded by God's magnificent hands, embellished by nature's lavish grace, manicured by the people's nature-loving souls and bettered by time's healing and renewing supremacy is a sanctuary of splendor and solitude juxtaposed with excitement, adventure and thrill. A superb combination found only in Lake Sebu. Lake Sebu is a cache of nature's finest creations. With a land area of 89,138 hectares , Lake Sebu is South Cotabato's biggest municipality. With a temperature that ranges from 20-37.5 degrees Celsius, it surely is a vacation target for many people. Who wouldn't be proud when you have three lakes; (Lake Sebu, Lake Lahit and Lake Seloton) The Seven Falls, Traankini Falls, Isla Grande and Teyega Island,Talili Mt. Range, Tasaday Caves, Sta. Cruz Mission and resorts that sweep tourists off their feet and make them want to visit again and again? Surely, Lake Sebu has all the right ingredients to be put on the tourism pedestal of South Cotabato. Lake Sebu offers two opposing yet highly sought after yearnings of the human soul: tranquility and adventure. 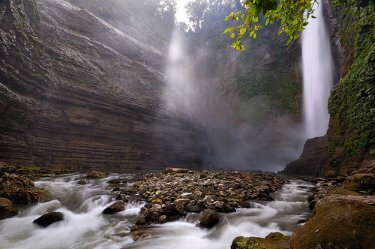 The former is no doubt a trademark of Lake Sebu as it has long been acclaimed for its soothing, unquestionably cool weather, its culturally-inclined people willing to share a portion of themselves to their visitors and the enticing sound of the falls as it cascades its way to the river. The latter would first seem to many as an obscured, blurry, almost non-existent feature of Lake Sebu but lo and behold, as the altitude increases as one ascends the way to the Seven Falls so does the adventure heightens to a breath-taking level as one sets foot on the rigging area of Seven Falls' now famous zipline. For years, Lake Sebu has taken hold of many people's interest. Those who visit the place for a relaxing trip around its vast, almost surreal lake hemmed by magnificent mountains and verdant vegetation never fail to carry with them the smiles they have all been wearing during the tour around the lake. Those who visit the place for their illustrious tilapia, scrumptious as always ,would want to take some with them, for their family and loved ones to have a taste of Lake Sebu's super star fish. A trip to Lake Sebu would certainly be incomplete if one has not visited its prime attraction - no less than the Seven Falls. With its bamboo design arch entrance, one couldn't help but see more of the treasure that lies beyond it. They even have wooden and bamboo-designed toilets. It's as if you're on a fairy tale journey and you get to enter one of those big trees reserved only for fairies and the supernaturals. The arch bridge at Falls No. 2 is also a surefire attraction. Every now and then, tourists rush to this bridge and would likely beat Hollywood stars for their seemingly endless picture-taking. If you think you already had enough of Lake Sebu, think again. The best is yet to come. Seeing the tempting water as it gushes down to the river, enjoying its teasing as it gently splashes on your skin as you approach them and feeling the coolness of the place would make you want to live in there. They also have trekking from falls no.1 to falls no.7 that would test one's strength and stamina. And who wouldn't feel as if he's reached the peak of Mt. Everest if he has successfully climbed the 1,000 steps? On top of it, the splendor of the view 1,000 steps below your post and the hurdles you have overcome as you trod your way to the peak will overwhelm you with bizarre admiration. You can also observe the wildlife particularly the presence of monkeys, hornbill and other animas that are too elusive in our world today. Their newest attraction is the zip line ride from falls no.2 to falls no. 5 and to falls. No.2 parking area. For the adventure-thirsty, here's something that will quench your thirst. Sliding your way 700 meters above the ground is enough to make your throat constrict a little, your heart beat a little faster, your voice a little louder and your prayers more pleading . The experience is enough to make even the brave shout as he is propelled towards one of the most extreme, exhilarating moments of his life. As you fly like the most powerful bird on earth, you will see that along with the thrill is the beauty of the falls viewed from the top. Some will experience hyperventilation; others will be flabbergasted and speechless, while some others will have to talk endlessly after the intense experience. Capping all these emotions, most people will feel like, whew! That was quite tough but I enjoyed it nevertheless. I should know, I have tried it myself. And in spite of the hyperventilation and the fear, I might do it again!